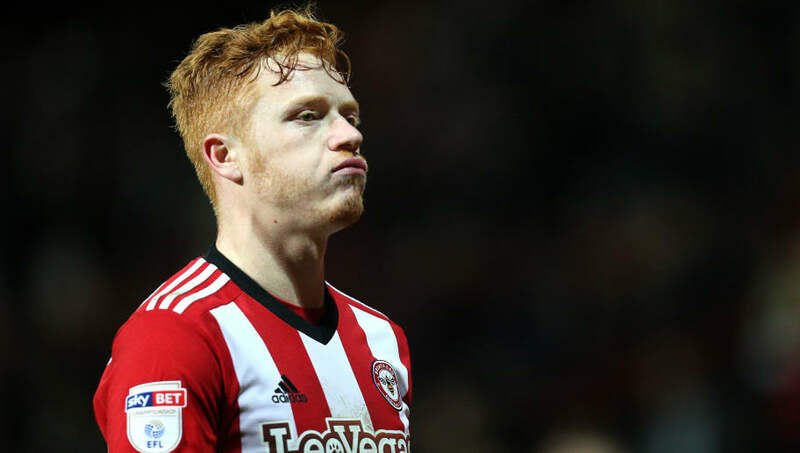 ​​Stoke City are set to beat Championship rivals ​Swansea City to the signing of ​Brentford midfielder Ryan Woods, after reports suggest that the 24-year-old is having a medical at the bet365 Stadium on Friday. The former Shrewsbury Town player looked destined to join Graham Potter's side in South Wales during the English domestic transfer window, but the Telegraph now report that Woods will now join Stoke on an initial loan deal before making a permanent £6.5m transfer in January. Brentford were initially reluctant to let their star midfielder leave Griffin Park this summer, but the stellar performances of fellow midfielders Josh MacEachran, Lewis Macleod and Kamohelo Mokotjo so far this season - ​along with the signing of young Arsenal midfielder Josh Dasilva earlier this week - means that the west London club can now afford to sell Woods as they continue to push up the Championship table. Woods joined Brentford for around £1m in September 2015 after coming through the ranks at Shrewsbury Town, and has made 122 league appearances for the Bees over three seasons, scoring three times. He played 40 times for the Championship side last season, and won the Brentford Supporters' Player of the Year Award for the 2017/18 campaign. However, he has not appeared for Dean Smith's side in the league since the start of the 2018/19, with his only game so far this campaign coming in the 4-2 win over Southend United in the Carabao Cup. Brentford have made a promising and an unbeaten start to the new Championship season, with the Bees currently sitting in fourth place, following comfortable wins over ​Rotherham United and ​Sheffield Wednesday, along with credible draws away at ​Aston Villa and Woods' soon-to-be new club Stoke. Gary Rowett's side, on the other hand, have yet to register a win in their first campaign back in the second tier since the 2007/08 campaign, and currently sit in the league relegation places following a 3-0 home defeat to ​Wigan Athletic on Wednesday.